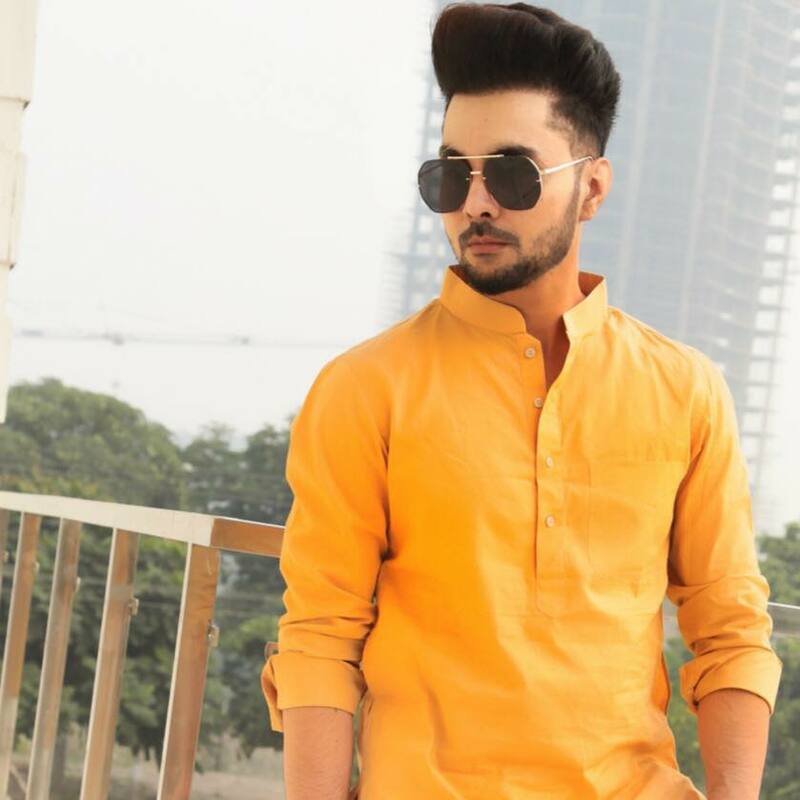 B Jay Randhawa Biography: The name that needs no introduction for now as he has been travelling through a lot of fields related to television which has introduced himself to us now in form of a singer, B Jay Randhawa. B Jay Randhawa has done a lot of interviews of many singers, writers, Bollywood actor actresses and many of Punjabi music industry stars as well. But the time has taken him up so much in the years that Punjabi industry’s superstar like Ammy Virk took his very first interview. B Jay Randhawa started his career from doing graduation in dental surgery as this was the profession his parents wanted him to follow. But he was in love with riding bikes, not only riding but doing stunts like a stuntman. More often someone who caught him riding a bike on a single tire used to complain his father about this but his father was not ready to believe this that how someone can ride a bike on a single tire. Hence many times his father has told him to ride bike on a decent speed so that he could handle when it comes to an accident. This love for doing stunts took him to MTV’s most hit show named as “MTV Stuntmania” which was a blaster start to his journey on television, his aim was to basically be on TV by doing anything, may it be stunting, may that be part of his singing career or any other profession related to the screens. This was the time when MTV channel people came to his house to interview his father about the selection of B Jay Randhawa in Stunt Mania, his father took the things tranquilly and said ‘whatever he is doing is fine but we will be making him a doctor at the end of anything’. But sooner his parents understood his feelings towards the career and never forced him for anything. The Stunt Mania was the thing of year 2010 that ended in 2011 but after this there was no work for him to do for a long span of nearly 3 years. Till 2014 he has struggled a lot in his life, there is hardly a company or there is hardly a producer of director to whom he has not concerned about his career. B Jay Randhawa was used to travel to these people to ask them for work while holding his photographs in hands. But no one gave him any kind of help. Ravinder Khaira is the name of person that he thanks most for bringing him in the industry as he was that one person who has walked out of his ways to help B Jay Randhawa out. This is the reason that we have seen B Jay Randhawa as an anchor for a long time on Tashan TV in a show that was hosted by him named as “Tashan Da Peg”. He has done almost 150 shows in this series and in total of around 467 interviews of Bollywood stars like Shah Rukh Khan, Salman Khan, Alia Bhatt and many more. These are some people that he has loved to do interview with. Some of the best lessons of life he has learned while doing this job. B Jay Randhawa feels that all this passion has came up in him from his childhood, most of the things like hosting and anchoring, which has also been part of his life for a while has developed in him from his school times. He used to read out prayers and news in school on the mike. This is how god has taken him up with the same things. After anchoring and hosting a show he entered into work of acting or we can say modelling which he did in Hardy Sandhu Soch Song. The thing was also luck by chance for him. As the production of Soch song was almost of his known people and the character that he has got to play was originally was to be done by someone else. But the man was not present at the moment so it was decided that B Jay Randhawa will be doing it. Just like this in Burrraahh Punjabi Movie, he has a very small role with a dialogue which was given by Yuvraj Hans to him; it was very difficult for him to just get to have a dialogue in the movie. He used to spend the whole day on the set just to get his turn of delivering a dialogue and this wait was over after 20 days, when Yuvraj Hans asked director Sagar Sharma to give his one dialogue to B Jay Randhawa. B Jay Randhawa’s very first entry as a model was in Nirman Sidhu song Khangura in which he did a short role, after this he performed a stunt in Ravinder Garewal Song Jatt Kite aitki. Growing day by day he finally made a way and did a song as a singer named as Theth Gabhru which was titled by the music director Baljinder, the Theth Gabhru B Jay song did well and was appreciated by the audience. After this there came another from him named as “Star” this was also a super hit song featuring Sukh E Muzical Doctorz along and starred Monica Gill. Lyrics were done by very famous Jaani. After this we have a song named as “Deewana” released under the banner of well known production company “White Hill Music”. Deewana B Jay Randhawa ft. Deep Jandu were two singers included in the song and penned by Raj Fatehpuri. Female lead in the video song Deewana was Himanshi Kurana. Now all the hit songs are in B Jay Randhawa’s list and we have another name of song that is running successfully on YouTube and has crossed around 8 Million views. Peg B Jay Randhawa is also a super song that featured Guri & Sharry Maan in the video which was a concept by Parmish Verma. The story around which the video is rotating is actually a true story of B Jay Randhawa’s friend which was just a discussion between Parmish Verma and B Jay, and took place as an idea in video that worked well.